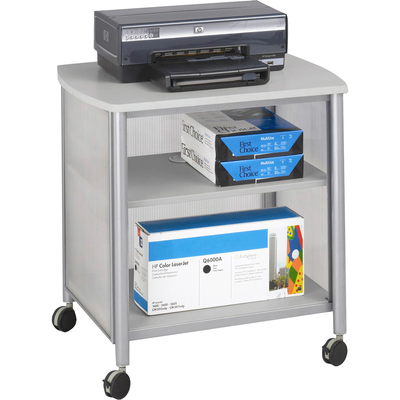 Powder coat steel frame for durability with translucent polycarbonate side and back panels. Accommodates most office machines. Large storage area with one fixed shelf. Four casters (two locking) for easy mobility.